Quality duplexes for lease. Units are all brick and range from approximately 4-8 years old. 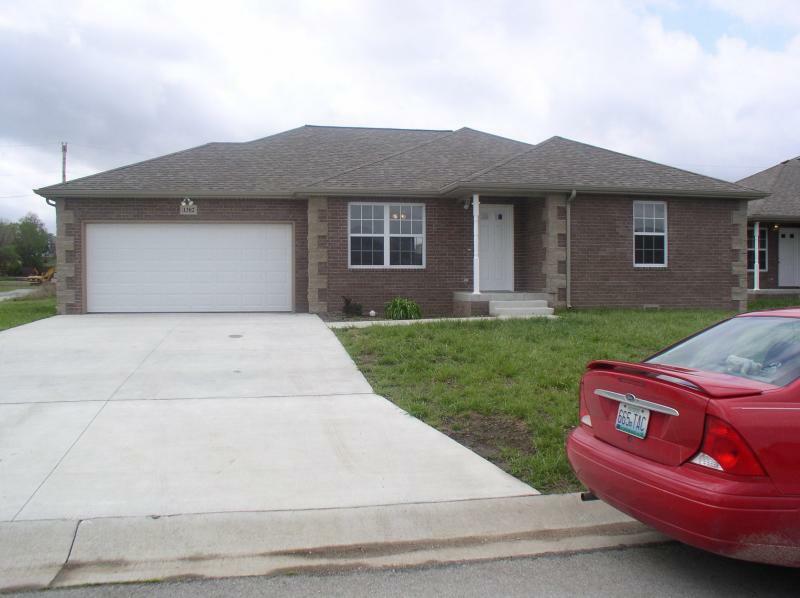 Properties are located in the north Joplin/south Webb City area, Webb City school district. Offering 2 and 3 bedroom units with 2 baths and 1-2 car garages. All units offer central heating and air conditioning. Ceiling fans in all bedrooms and the living room. All kitchen appliances which include a self-cleaning range, micro-hood, dishwasher, disposal, refrigerator with ice maker. Washer & dryer hooks are available. A garage door opener is included. Each unit may use their yard space with a patio in the rear. We do the lawn care for you! The units are wired for phone and cable tv in each bedroom and the living room. All units are total electric. Tenants are responsible for all utilities. If you are interested in a unit, please check the Units Available page and the criteria page.